Prime Time Profits Scam Busted – My Review Exposes The Truth About It! The website itself boasts “live commissions” from other members & you’re led to believe that if you sign up you too can start making money right away… But can you really, or is Prime Time Profits a scam that’ll just end up taking money from you instead? What Exactly Is The Prime Time Profits System? The Prime Time Profits system claims to be a push-button system for making money online. You’re told that everything has been done for you & that all you need to do to make money with the system is literally press a button. But surprise surprise the creators of this system remain anonymous which is never a good sign. You have no idea who’s behind it, where they’re based & you also don’t get given any idea as to how the system actually works. The video just promises you access to easy cash but doesn’t actually go into detail on how you’ll be getting it… Instead that information reserved until after you hand over your money. And I can tell you right from the off that that’s a typical sign of a get-rich-quick scam – they promise you the world but keep the method a secret until after you hand over your cash… Then they just leave you disappointed. I see scams like that work like that all the time, and I can actually confirm that the Prime Time Profits system is a scam right away. The reason I can do that is because I’ve seen this exact same system previously launched under various different names such as Copy My Websites & Instant Income At Home. Whoever is behind it keeps changing the name in an attempt to escape the negative reviews so that he or she can continue parting more & more people with their hard earned cash. How Does The Prime Time Profits System Work? Well the first thing I want to stress is that it certainly doesn’t work as promised, and you’ll likely struggle to make anything via the Prime Time Profits system let alone the promised amount of $500+ per day. The reason for that is because in reality after handing over your cash all you actually get access to is some very basic training on affiliate marketing. Now don’t get me wrong here affiliate marketing itself is an excellent way to make good money online, but you need good training to learn how to do it & the training provided via Prime Time Profits is just not up to the job. On top of that you need some tools to get started with affiliate marketing & none of them are provided to you via the Prime Time Profits system either, so the whole thing really is just totally hyped up. The truth is that if you want to get started with affiliate marketing you can actually just join a legitimate program like Wealthy Affiliate for free, and it’s there that you’ll get all the proper step-by-step training along with the tools you need too. In my opinion the only reason the creators of the Prime Time Profits system are providing you with any training at all is so that they can try & get out of giving you a refund when you ask for one. You see if they didn’t give you anything you’d have some pretty good ground to argue a refund, but this way they can get out of it by saying that they’ve provided you with training & that they’ve fulfilled their part of the deal (even though we know they really haven’t). What About The Prime Time Profits Black Box? 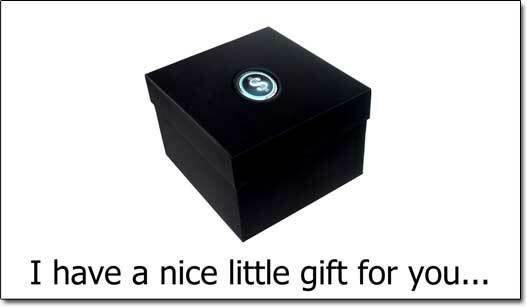 The black box is just a metaphor to describe to you how simple the system is. There isn’t really a black box (even though they go on & on about it), they’re just trying to sucker as many people as they can into handing over their cash by making it sound “stupid simple”. I mean don’t get me wrong it would be nice if there really was a black box which you could push a button on and make $500 appear but we all know that’s just total BS. It’ll never happen offline & it’ll never happen online either. You see the truth is the internet is great and all but it’s not magical & there’s no way to generate lot’s of money with ease… There never has been & there never will be because think about it, if there was, everybody would be doing it… Nobody would be left working a job! I mean it is indeed certainly possible to make money online, but you must understand that it takes work (and time)… Anything promising otherwise is likely just trying to scam you out of your hard earned cash. My Verdict – Is Prime Time Profits a Scam? To be honest I never like to be too harsh with programs, I always go out of my way to find at least some positives but here with the Prime Time Profits system there simply is none. In my opinion the whole thing is definitely a flat out scam. As far as I’m concerned the whole thing has just been setup to make it’s creator wealthy at your expense by tricking you into parting with your hard earned cash in return for some “easy money making system” which in reality doesn’t even exist. That’s why the creator (who remains anonymous) keeps changing the name of the program – so that he (or she) can keep on escaping the negative reviews to scam more people out of their cash. So overall it’s safe to say I won’t be recommending it to you because you’re just not going to get any value from it whatsoever. If you really want to make good money online then instead I’d advise that you just join a legitimate & proven program like Wealthy Affiliate instead. But anyway whatever you decide to do I hope my review here has given you a better idea as to how this system actually works & more importantly I hope it helped you to save some of your money. Kill Binary Review – Scam or Legit System? 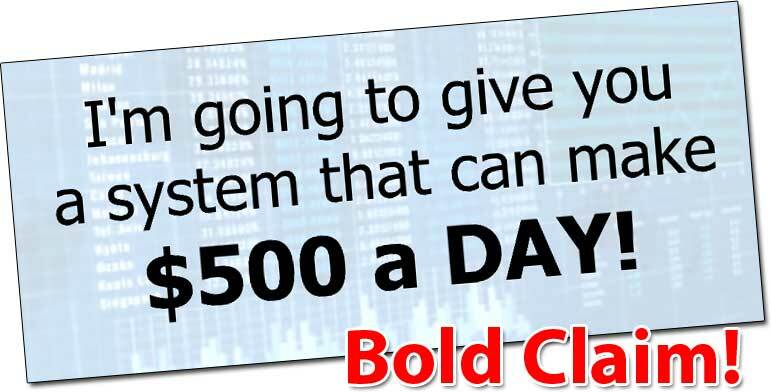 Automated Income Systems Review – Big SCAM or Legit Money Maker?